Sometimes our travels take us to far away places, away from family and the homes we know. And we spend holidays and Christmas with new friends in strange places. Each of the hosts on the RAW panel share special memories of places they have spent this time of year. Brittany Scheid: "I have a few newbie riding questions. I got my license this fall, and so far I have been searching for a good starter bike for myself. I am 120 lbs, 5 foot 2 inches. I need a good bike to practice on too, where do you all recommend to practice, empty parking lots? or do you think going right out on normal roads? I don't have much experience yet and need to gain more confidence." TJ Lyons: "Can you talk about what jobs people could get into if they want to support the adventure lifestyle?" "... have heard of remote into type of jobs or careers that can be done on the road to make some money from wherever you are in the world." Dafydd Jones: "In response to your question at the end of the October podcast you asked what is stopping you (the listener) from going on a trip and my reasons are simply cost and a young family? But probably the big one is where to go that’s not mega money. I have thought Europe but not sure where to go, maybe Germany or Switzerland, any advice?" 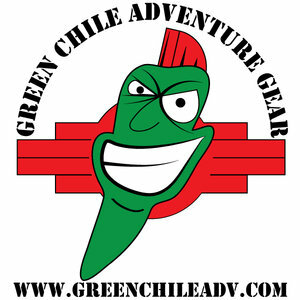 Anonymous: "... since discovering the Adventure Motorcycling community I have been dreaming on getting on a longer trip. Not a RTW trip but gradually building up my experience and knowledge like you have mentioned to many times on ARR and RAW is the best way to do it. A couple of years ago my excuse was time and money. Didn't know when to do it and was very much into my career. Then..." ... the listener is not able to travel due to a medical condition in the family and the likelihood is that travel will not be for some time in the future. Can we live our dreams through motorcycle books, movies and shorter adventures? Authors of motorcycle adventure books: Two for the Road, Circle to Circle & The Long Way to Vladivostok. Aussie Overland’s books are available through the usual eBook outlets worldwide or order directly at www.aussiesoverland.com.au. They make a great holiday read whether relaxing by a fire in the northern hemisphere or by the pool in the southern hemisphere. And don't forget to check out the Adventure Travel Film Festival: http://www.adventuretravelfilmfestival.com/australian-festival/. Posted on December 10, 2017 by Elizabeth Martin and filed under ARR RAW, Round Table Discussions, Travel and tagged motorcycle motorbike moto biker rider adv raw arr raw rtw travel adventure overland motorcycle travel motorcycle trip motorcycle podcast podcast grant johnson horizons unlimited hubb sam manicom motorcycle author motorcycle book graham field Shirley Hardy Rix brian rix aussies overland jim martin.